Minter's Dining Around The World... | Rory has decided that everyday or as near as everyday we can (work and evening activities permitting) he should take a globe, spin it, close his eyes and stop the globe with his finger and then the country/place that he has landed on we will cook something from the country and maybe the area …..If he lands in the sea we will cook and eat from the place nearest to where he lands…. 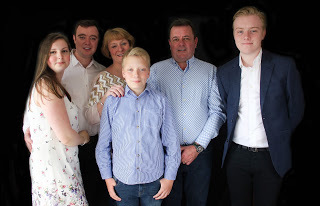 But now we are now Mum, Dad, and 3 boys 27, 22 and 14 (April 2019), Following University and circumstances all boys now live at home We are very proud of all our boys in all they achieve and all they become. We are 7 miles from the City of Canterbury, which boasts a fantastic Cathedral, fabulous restaurants, a vibrant student culture, and an amazing shopping centre. We all enjoy food, probably too much, hence my “fuller figure” and love to cook. We love entertaining and most weekends see us cooking up something delicious to eat, whether it is for just us or for our friends. Therefore, Rory has decided that every day or as near as every day we can (work and evening activities permitting) he should take a globe and spin it, close his eyes and stop the globe with his finger and the place that he has landed on we will cook something from that area. If he lands in the sea we will cook and eat from the place nearest to where he lands. Come with us and journey around the world….See what food we have cooked and enjoyed, or maybe not enjoyed….Share your thoughts and ideas you feel we need.